In Sarajevo, it's impossible to ignore that an election is right around the corner. 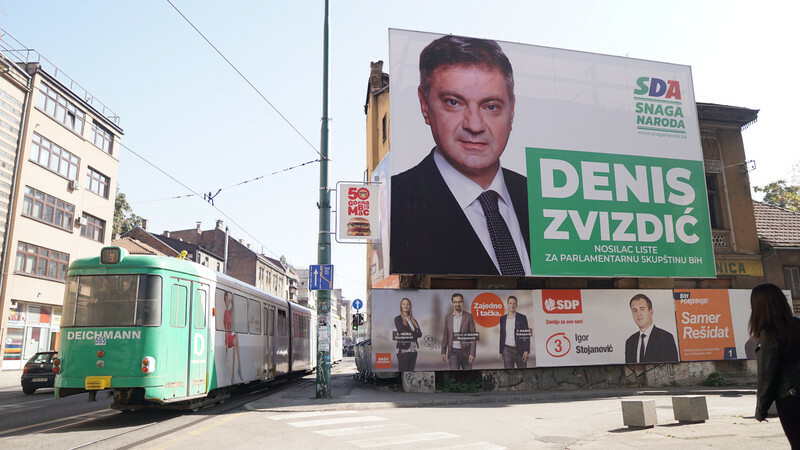 As Bosnians head to the polls Sunday to vote in what has often been called the most complicated political system in the world, advertisements for candidates and parties are plastered on seemingly every billboard, tram stop and spare wall in the city. But the myriad faces looking down at Bosnian voters don't seem to have inspired many; a recent Organization for Security and Cooperation in Europe (OSCE) election monitoring report warned of "general disillusionment among the population, in particular young voters, caused by political and economic stagnation." It's not hard to find that disillusionment on the streets of Sarajevo. 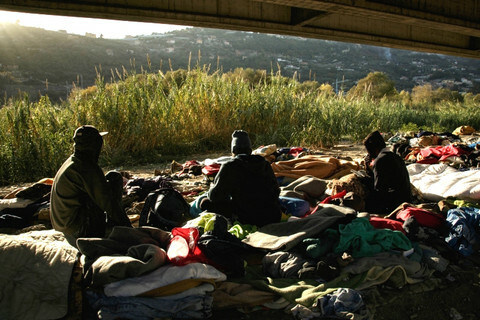 "This country crushed all my dreams," university student Dino Cviko, 24, told EUobserver. Bosnians, especially young Bosnians like Cviko, don't feel they have much to be hopeful about. 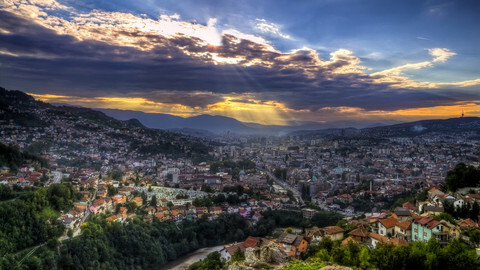 With an average monthly wage around €400, Bosnia remains among the poorest countries in Europe. Unemployment remains over 20 percent, while the rate among young people is almost 50 percent - among the highest rates of youth unemployment in the world. Worse, it is extremely difficult to get a job in the country without the requisite political connections – or 'stela', the Bosnian word for the petty corrupt contacts one needs to get anything in the country's bloated official structures, says University of Sarajevo professor Lejla Turcilo. "Youth are more demotivated and disillusioned than ever," she says. 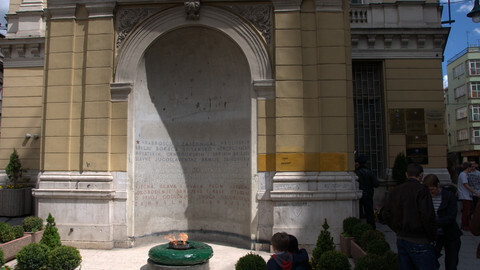 The reaction of many Bosnians, young and old, has been to leave the country altogether. While exact figures are hard to come by, some estimate that up to 10,000 youth leave the country every year. 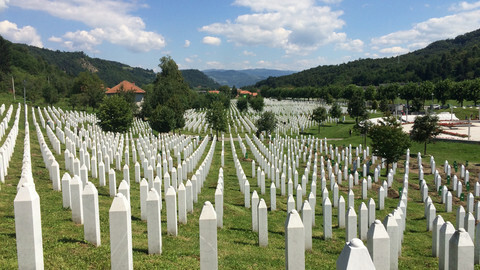 One NGO has estimated that 170,000 Bosnians in total have left the country since 2013 - almost five percent of its population of just over 3.5 million. Bosnians have also been left frustrated by stunted progress towards joining the European Union. Alongside Kosovo, Bosnia is the only country in the Balkan region without at least EU candidacy status. "There's a road to the EU, literally," says Edin Kukavica, director of Bosnia Cultural Centre in Sarajevo, referring to the country's A1 highway that leads through Serbia to Hungary. "And nothing new has been built in the last four years." But Bosnia's leading politicians have put EU candidacy and eventual EU accession front and centre of their campaigns. 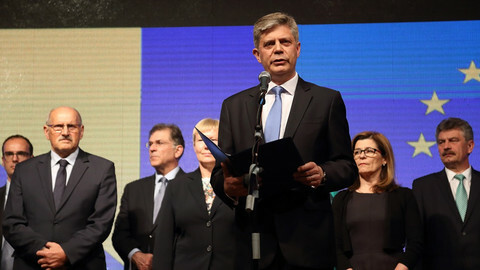 Sefik Dzaferovic, the leading candidate for the Bosniak (Bosnian Muslim) seat on the country's tripartite, ethnic-based rotating presidency, thinks Bosnia can join the EU by 2026. Dzaferovic, a member of the Party of Democratic Action (SDA) that dominates Bosniak ethnic-nationalist politics, plans to push forward with EU membership candidacy if he is elected. "We intend to start to work very actively on this," Dzaferovic told EUobserver. "There is no alternative to EU and NATO membership." 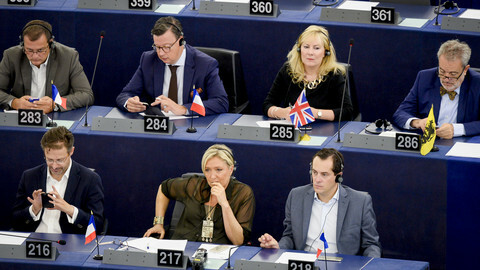 Progress towards the EU has been slow. The country failed to respond on time on September 30 to clarifying questions on a European Commission questionnaire - a questionnaire that itself took the Bosnian government more than 14 months to complete, two months past the December 2017 deadline. But Bosnia's politicians don't bear all the blame for the lack of progress; the EU itself has been accused of not paying attention to the country and to the wider region as a whole. One EU official in Bosnia privately admitted the EU has shown a "lack of interest" in the country over the past several years. Some observers argue this has opened the door to increased Russian and Turkish influence in the country, and left Bosnians feeling even less hopeful that they will ever make it into the EU. A clear message was sent to Bosnia and the Balkans this summer, says Bosnian analyst and journalist Srecko Latal, when France and the Netherlands put off membership talks for Albania and Macedonia. The message, says Latal, was that "EU enlargement has been taken off the table for the time being." "Local politicians have put all their eggs in one basket," says Latal. 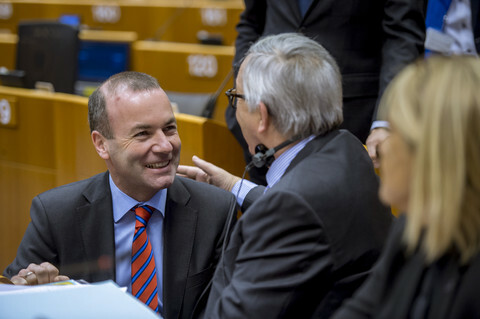 "And the EU took off with the basket." A bigger story out of Sunday's elections could be unprecedented electoral fraud. The OSCE's election monitoring report warned that many of their observers "lack confidence in the impartiality of the election administration, suspecting political and ethnic bias and fearing manipulations on election day." While fraud in Bosnian elections is nothing new, there is worry that this year's elections will see unprecedented levels of electoral fraud. The number of absentee voters in the country has almost doubled from 2014, with almost 77,000 registered absentee voters in the country of just over three million voters, which some observers see as highly suspicious. Many of them are from neighbouring Serbia and Croatia and have been registered to vote in districts controlled by two ethnic-nationalist leaders and their parties – Bosnian Serb leader Milorad Dodik's Alliance of Independent Social Democrats (SNSD) and Bosnian Croat Dragan Covic's Croatian Democratic Union (HDZ), who are both facing potentially tight races and challenges to their power. One NGO electoral watchdog has reported incidents of identity theft earlier this year - fake prize contests asked citizens to provide copies of both sides of their ID as a condition for competing. There has also been a "growing number" of Bosnians discovering that they have already been registered to vote somewhere they don't live. While he is convinced that fraud will be a major issue in Sunday's elections, Latal thinks the more old-fashioned forms of electoral fraud will be more significant than any fraud involving absentee ballots. Local election commissions, Latal says, remain the biggest source of fraud; they are made up of political party members who trade positions between each other to secure control over counting ballots. It's why Bosnians like Cviko don't see much hope on the horizon. Speaking to EUobserver at the Zmajevac viewpoint overlooking Sarajevo, he says he will try, over the next few years, to make a living in his home country. But, he says, he will eventually leave to work in Germany or Austria if things don't get better, as have many people he knows. But he would prefer to stay. "This is my home," he says. 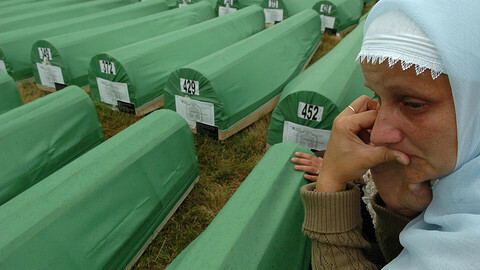 EU foreign ministers will discuss Bosnia and Herzegovina on Monday. The EU has the opportunity to show that it is not a political dwarf in the Balkans, where not only economic, but also political reforms are necessary. EU diplomats in Bosnia have voiced sympathy for protesters against lawlessness in the Serb entity ruled by Russian darling Milorad Dodik, after demonstrations in Banja Luka left one police officer injured.